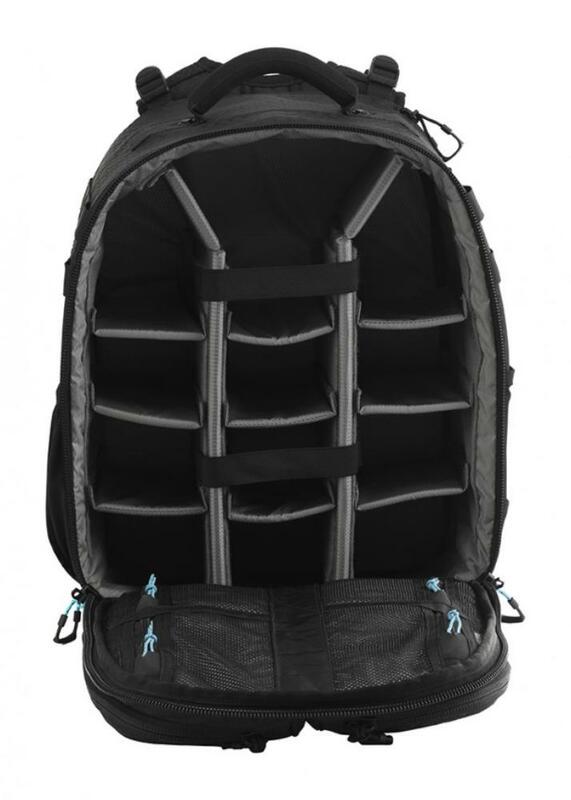 The Gura Gear Bataflae 18L Backpack has a unique butterfly-style multi-access system creating a smarter way to both carry and gain access to your equipment. 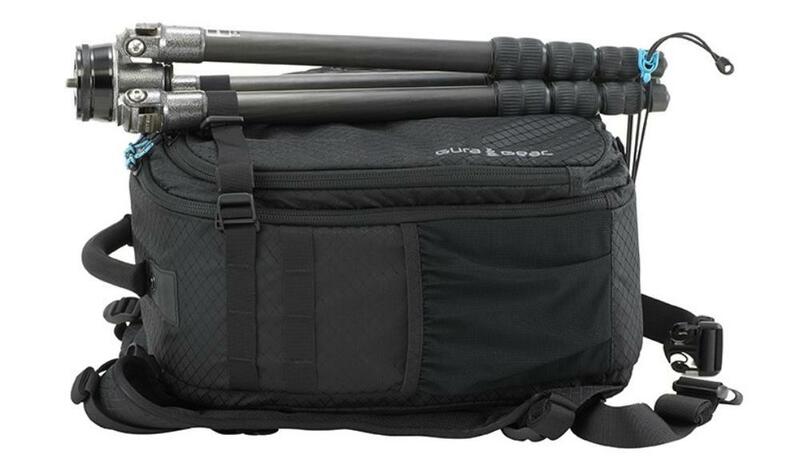 It can fit lenses up to 300mm long (with hood reversed) or a 70-200mm lens attached to a body with ease. There is a dedicated pocket for 13" laptops or tablets and 2 full-length exterior pockets for ID, tickets, and other documents. They are also long enough to stuff a windbreaker and wide enough for most books. The interior has multiple mesh pockets for small items and there is an exterior water bottle holder. It is a good pack for trips out into the field were you need to carry larger equipment but still need to be agile enough to carry your stuff with you onto most planes (see Notes Tab for more info on FAA specifications). For this exact bag in different dimensions, see our Gura Gear Bataflae 26L Backpack and Gura Gear Bataflae 32L Backpack. • Bag padding is removable and includes 11 total pieces. Keep track of these. Loss of pads may results in a fee. • Most airlines require carry-on items to have an external linear measurement that is equal to or less than 45". The external dimensions of this case add up to 38". Regional planes with very small overhead compartments might have a hard time accommodating this bag, nonetheless. Plan accordingly. • This bag does not include a rain cover. 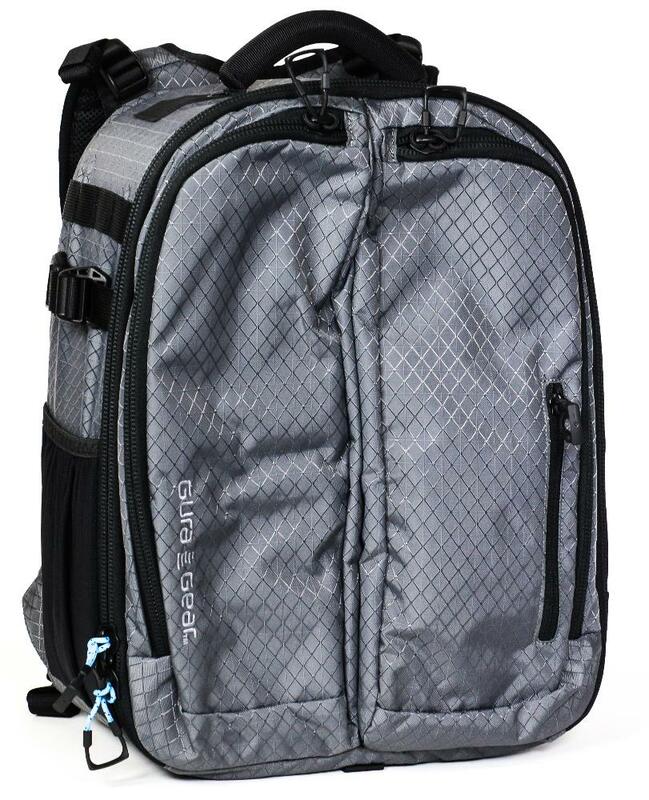 Please see the Gura Gear Bataflae 26L Backpack for a similarly-sized GuraGear bag that does. • Exterior Dimensions: 12" x 17" x 9"
• Interior Dimensions: 11" x 16" x 6.5"